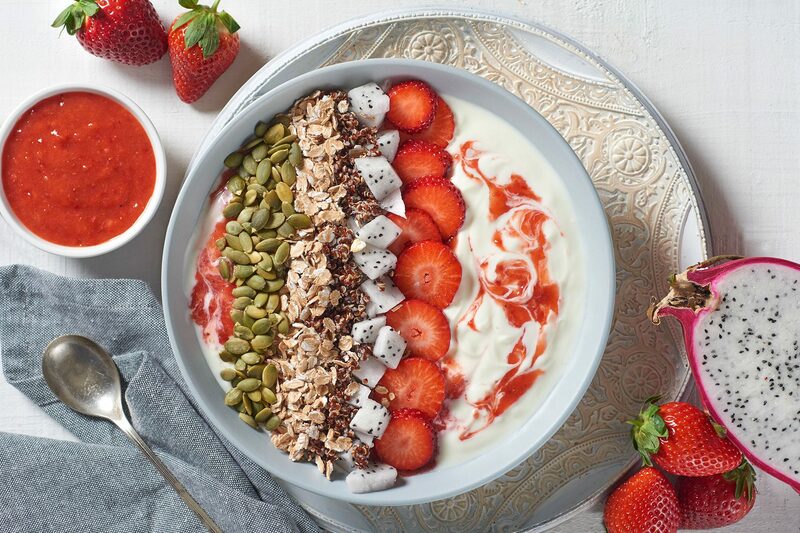 A perfect start to a big day, this smoothie breakfast bowl has all you need to hit the day running. Lightly blitz half of the strawberries with mixed fruit. Place yogurt in your serving bowl and swirl through blitzed fruit. Top bowl with quinoa, oats, walnuts, seeds, then finish with extra strawberries and fruit.